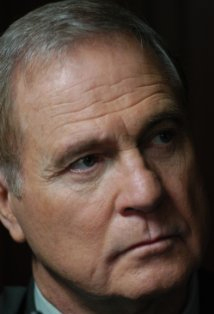 Gil Gerard has starred in numerous successful made-for-television movies as well as feature films. However, his millions of fans prefer to remember him as "Buck Rogers" from the Universal motion picture box office hit and NBC acclaimed television series, Buck Rogers in the 25th Century. Recently Gil filmed a one-hour special documentary for the Discovery Health Channel, which aired on January 10, 2007. The Documentary was awarded a prestigious 'Freddie' as the best Documentary in the world dealing with obesity. In addition, Gil recently filmed a pilot for the Fox T.V. Network entitled, Beyond in which he plays the commanding general of U.S. Space Command. Gil has recently completed filming two MOWs for the Sci-Fi network entitled, Bone Eater and Ghost Town which was filmed in Bulgaria, as well as an MOW entitled Storm Effect. He is currently awaiting the release of Blood Fare, a 2010 feature film he starred in which blends a modern day thriller/ horror genre with the period of the Civil War. He was inducted into the Arkansas Entertainers Hall of Fame in Nov. 2007. A native of Little Rock, Arkansas, Gil headed to New York in the summer of 1969 where he found a job as a taxi driver and began training with Phillip Burton at the American Musical and Dramatic Academy. It wasn't long before Gil found himself working in the business. One of his fares told him he should audition for Love Story which happened to be filming in New York at that time. He did audition, got the job, worked on the film for about ten weeks and never looked back. During this time, Gil formed an independent production company with two partners and produced a low-budget feature film entitled Hooch and the Broadway musical The Amen Corner, based on James Baldwin's award-winning play of the same name. It was also during this time that Gil was called to Hollywood to screen test for several new projects that were being considered. He had also attracted the attention of top Hollywood agent Meyer Mishkin, who called him to the West coast to guest star in an episode of Baretta with Robert Blake. While shooting this series at Universal Studios, Gil auditioned for and landed the role of Lee Grant's lover in Airport '77. After landing a guest starring role on Little House on the Prairie in which Gil played the role of an itinerant carpenter who built the Ingalls' kitchen and fell in love with Caroline Ingalls, Michael Landon offered him the lead in a new series he was producing and writing entitled, Stone. The series wasn't picked up by NBC, but Gil was. He was offered the title role in a feature and series deal involving Universal Pictures and NBC entitled, Buck Rogers in the 25th Century. The film was a huge commercial success, grossing over 11 million dollars in its opening weekend (this is in 1979 dollars, today's figure would approach 30 million dollars) becoming one of the top five grossing pictures of the year. Gil followed the success of Buck Rogers with several highly rated M.O.W.s (movies of the week), including Help Wanted: Male with good friend Suzanne Pleshette, which garnered an impressive 47.7 rating share, making it the second highest rated TV movie in the history of television; Not Just Another Affair, with Victoria Principal; For Love or Money, again with Suzanne Pleshette; Hear No Evil, portraying real life San Francisco detective Bill Zerbe deafened by an explosive attempt on his life by the Oakland- based Hell's Angels, whom he was investigating for drug manufacturing and murder; and Stormin' Home in which he starred as an irresponsible ex-husband and father who dreams of becoming a champion Motocross rider and gaining the respect of his ten-year-old daughter. Gil's many charitable endeavors include serving on the board of People in Progress, an L.A. group committed to finding jobs and housing for homeless women with children. In addition Gil has been active for the past thirty years with Special Olympics and the Make-A-Wish foundation. He has also hosted several Celebrity Golf tournaments to benefit the Down Syndrome Foundation. Gil firmly states, "If it has to do with benefiting children in any way I am there for it."